i'm so excited to announce my current collaboration with FabKids. beginning December 4th and running through December 16th they are hosting a 12 day daily outfit giveaway on their Facebook page. one lucky winner will receive the featured outfit of the day. for those of you who frequent this blog, you'll notice that is my baby above modeling one of the featured outfits for giveaway (isn't she the cutest?!). 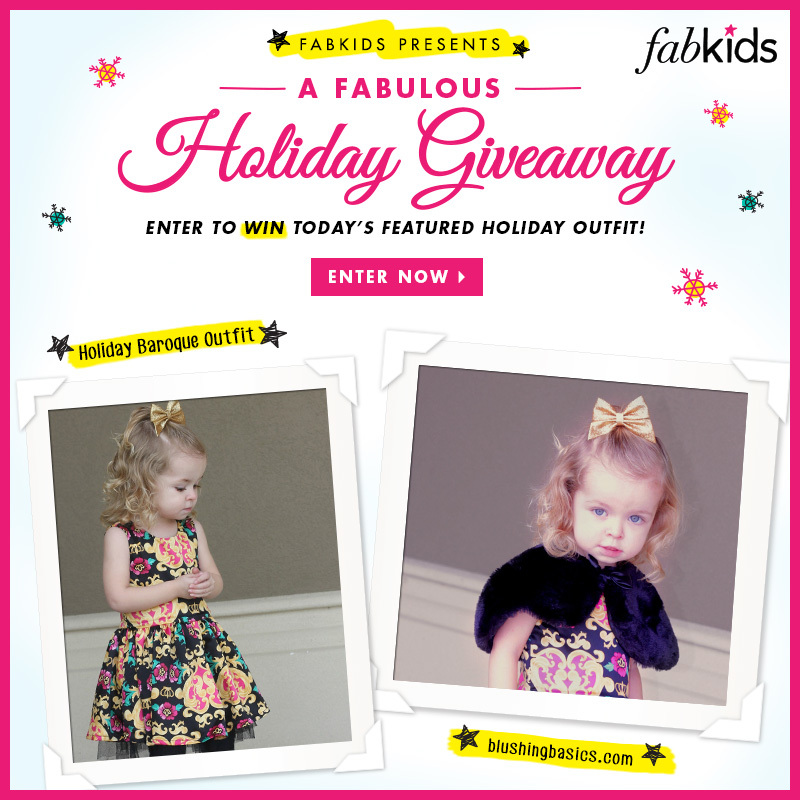 of all of the FabKids outfits we have received this holiday collection has definitely been a standout. the clothes are ridiculously adorable and my little Olive received so many compliments in her new Holiday Baroque Outfit. please take a minute to head on over to the FabKids Facebook Page to see what holiday outfit is up for grabs today. 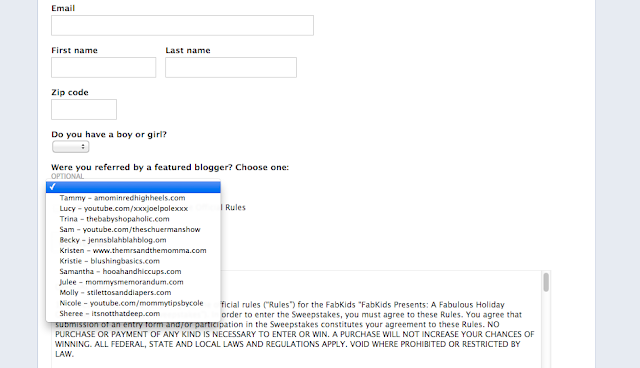 additionally, if you're interested in hooking a sister up, FabKids is curious to know which blogger sent you to their contest. if you select me (pretty please) my kiddos will get a chance to earn some more cute clothes. be sure to tell 'em Blushing Basics sent ya! good luck! Your daughter is so adorable and she makes such a perfect little model. 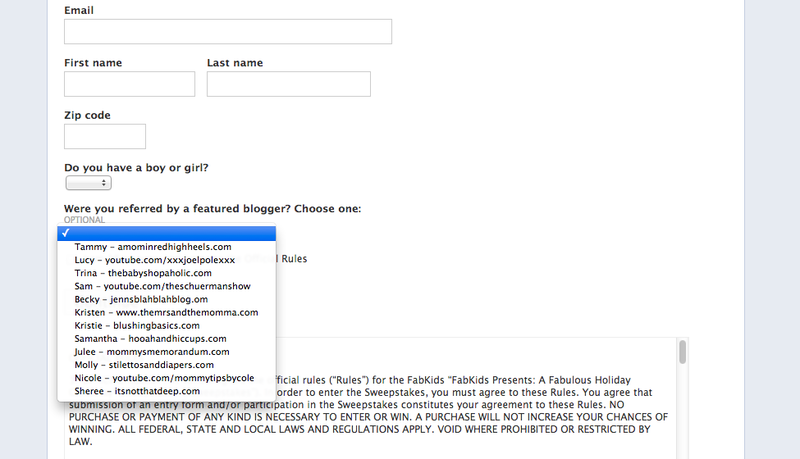 I'm going to enter to try to win an outfit for my niece. So cute!